I spend an inordinate amount of time on my computer and smartphone. I’m the kind of person who sets an alarm on my phone so that I know when to go to bed, because otherwise I’d be adrift in the internet ’till the wee hours of the night. In my techy adventure time, I’ve discovered some apps that are so great I tell EVERYONE about them. When people 50 years ago were dreaming of what modern computers would be able to do, these apps are probably what they were dreaming of. “Streamlining my daily life” and “boosting my productivity” might not sound terribly exciting, but these apps help me do just that, and I love them for it. I paid for this one, although a free version is available with less storage space. The program installs a folder on your computer so that any file you put into that folder gets backed up onto The Cloud (dun dun duuun) and automatically placed in the Dropbox folder of any linked devices. 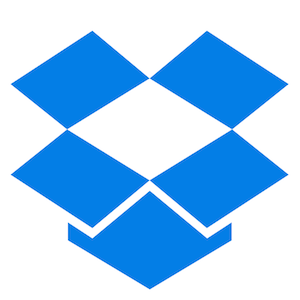 For example, I have Dropbox on my laptop, work desktop, and smartphone, so I can transfer files between the three. Lately I’ve been saving and running my code in Dropbox so that it effortlessly ports from desktop to laptop. Dropbox sub-folders are also an easy way to share photos after a trip or event. It’s brilliant. I like Evernote so much and use it so much that I paid for it too (a free version is available with fewer features). I save and store EVERYTHING on this: articles I loved and want to save, recipes, lists of all flavours (I love making lists), drafts of conference abstracts, items on my shopping wishlist, links and pictures of well-designed homes, teaching rubrics, etc. Evernote makes it easy to collaborate with folks who also have the app, and you can organize and tag entries to your heart’s content. And there’s an app for your phone too! Blogs are one of my favourite things about the internet, and I read tons of them. Feedly lets me sort and organize the RSS feeds from the blogs I read, so that the latest blog posts are all in one place. It lets me sort the blogs by category so that if I’m in a webcomic mood I can read through just those posts, or I can browse all the recent posts for all categories. I love how Feedly has a cleaner layout than Google Reader (R.I.P. ); its visual format is beautiful. I’m guilty of spending time staring at digital screens right before going to bed. This is a problem, because the bright lights are signaling for your brain not to produce melatonin, so you don’t feel sleepy and can stay up later than intended and/or take longer to fall asleep. F.lux is an app that changes the “colour temperature” of your screen (i.e., it makes a white screen look more orange than white-blue) to decrease your eyes’ sensitivity to the screen, since our eyes are less sensitive to red light than blue light. Coupled with turning the brightness of the screen as low as it can go, anecdotally I’ve found that overall I have an easier time falling asleep since I started using F.lux. It also has this neat feature where it can change the colour temperature gradually over the period of an hour, so it’s never an obvious transition, and if you tell it your latitude and longitude it will time this to coincide with local sunset. On my Android I use a similar app called SunFilter. Often I see an article I want to read on Feedly or facebook, but it’s inconvenient for me to read the article right then. I use Pocket to save these articles and read them later (usually on my phone). Under the ‘share article’ menu on my phone there’s almost always an ‘Add to Pocket’ option, and on my laptop I have an ‘Add to Pocket’ browser toolbar button. The best part is that it downloads the articles so you can read them without a data or wifi connection! With Pocket I can get up-to-date and consume information in my own time and on my own terms, which lessens distractions throughout the day. I love traveling, and now that I live in Europe I have an unprecedented opportunity to see parts of the world without breaking the bank. TripIt is great for planning and organizing trips. Once you have an account set up, you just forward all of your confirmation emails to TripIt and it automatically creates an itinerary for you! So easy. Be forewarned though, it’s only in English, so you have to forward English emails. Otherwise it gets confused and doesn’t know what to do and then you have to type in everything by hand which mostly negates the point of this service. Also, you should charge your phone before travelling, or the app won’t do you much good. That last point is rather obvious, but it needs to be said. Did you notice how many times I used derivatives of the word “easy”? (Now you will. And that’s after some editing.) It’s because these apps make life a little easier. There are many other apps that I use and enjoy (like Skype and WhatsApp), but these ones have made a huge impact on my day-to-day life. Did I mention that they’re free, too? Let me know if I missed your favourite app or software!